The Public Health Insurance for Students in Germany: When the students can join the statutory health insurance (GKV) in Germany and when not ? 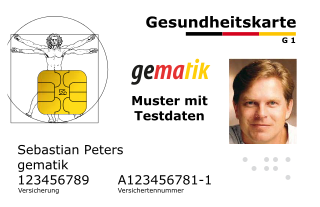 When is the public health insurance (GKV) in Germany possible ? When is the public health insurance (GKV) possible for students in Germany? 1. Do you have already an admission to university or college? In this case the public health insurance (GKV) is possible for you. only if the person was previously insured for at least one year by a public health insurance company like AOK, TK and similiar. In this case a student health insurance is still possible, but the price for older students (over 30 years) is about 2 times higher (about 200 Euros). 3. If the student had public health insurance previously for a period of at least 18 months, the public health insurance company can be changed. b) The new membership begins at the end of the 18. month or after the cancelation period. The membership in the public health insurance starts at the beginning of the semester (see point 1 above). a membership in the public health insurance is not possible (exemption from the mandatory health insurance ). Health insurance for students is possible for the students, after they turn 25 years old. Up to this age no insurance is needed, because the student is subscribed for free on the compulsory public health insurance of the parents.